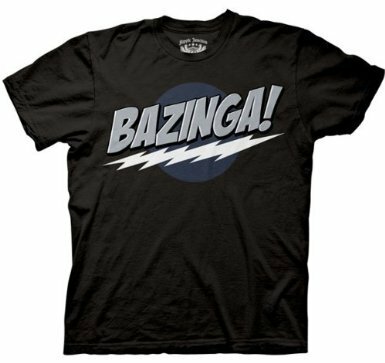 Savor the victory of one of your classic pranks in this black, 100% cotton t-shirt from The Big Bang Theory, with an action-packed Bazinga! logo graphic. 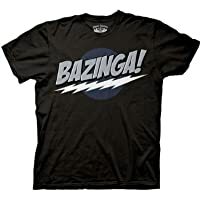 Taken from Season 2's The Monopolar Expidition, Sheldon's classic catchphrase has never been better!